Not everyone wants a cat around to catch mice, either because of allergies, or because of their inescapable addiction to indiscriminate slaughter, including migratory song birds. You know you've got issues when you spot those telltale droppings. Mice defecate wherever they happen to be - no house training involved. Mouse traps are a lot less hard on other creatures than cats, with a bit of care in the selection of the type of trap, the bait you choose, and where it's located. There are few traps that work as well as the original Victor wooden type. 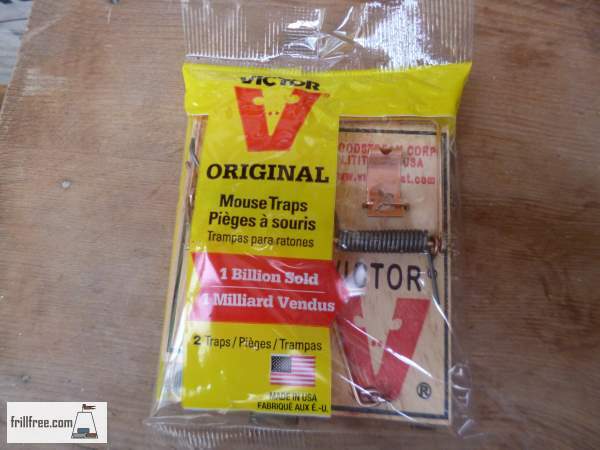 These are cheap mousetraps that have been around for over a century, and still work in exactly the same way. Other traps that are effective for around the homestead are the 'flip' type, with a large pedal arrangement, triggered by a spring. I find these less useful even when new if the spring is stretched or too tight. There is no way to adjust them. The old fashioned wooden mousetraps can be adjusted, if necessary. The are pretty much disposable, mouse included as they have such closing force that the results of success can be a bit gory. Why do we need to kill those cute little mice? Mice (even though they are adorable with their huge eyes) are carriers of several quite nasty diseases, top of the list being Hanta Virus. This is carried by deer mice, who live in fields and forests. They are attracted to abandoned or vacant homes, and when the humans return to clean up after them, the dust that is disturbed is contaminated with the virus via their feces and urine. Breathing the dust is how it gets transmitted to humans. Don't be too quick to dismiss this illness. There have been many cases of death from it in British Columbia. The native people of the southern US were extremely concerned about mice in their houses, and it's thought that this is because of Hanta Virus. 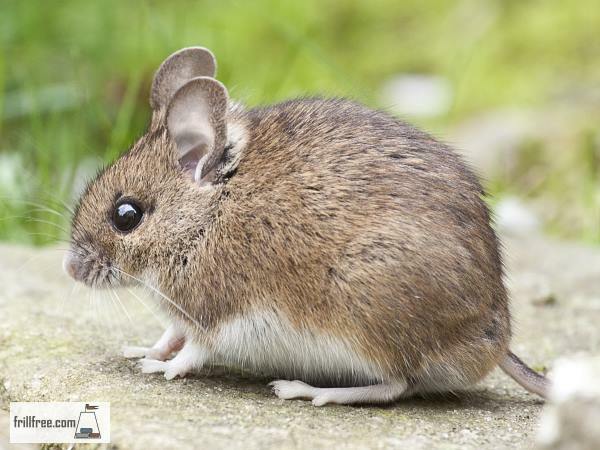 Deer Mice are carriers of Hanta Virus which can cause extreme fever, illness and even death. 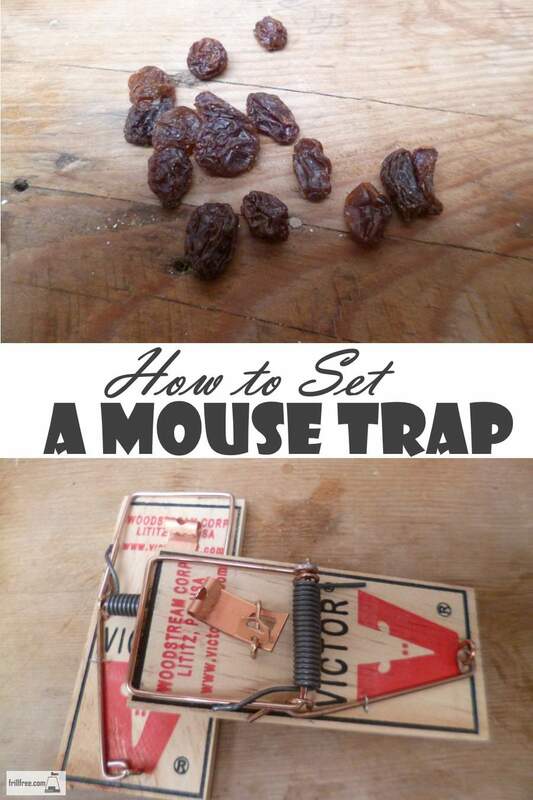 Setting a mousetrap is easy, if you keep in mind that what it does to a mouse it can also do to your fingers. There are several parts to a typical trap; some way of tempting a mouse into its reach, and some way of delivering a death blow. On the wooden traps, the bait is attached or placed on the little metal pedal, then the bail is swung over the bait station and held in place by the metal rod. As soon as the mouse nudges the bait it releases the bail, which swings back over and crushes it. Quick painless death results. If you're worried about household pets or other beneficial creatures getting caught put the set mousetrap into a bird cage that has large enough spaces for the mouse to get in, but will keep out larger animals and birds. Mice can fit into tiny spaces - they only need room for their head and the rest of them will follow. Spaces under doors, around plumbing pipes coming into the house, around vents, check all these. The best way to keep them out is to not invite them in in the first place - don't leave pet food down where they can smell it and get to it, make sure to clean up other food sources (spilled grain, old food packaging etc.). They can jump too - I saw one on a counter top, where it had climbed up, and then it was able to jump into the cupboard above the counter - through a tiny gap between the bottom of the door and the box of the cupboard. Use heavy grade steel wool to tuck around any gaps around the dryer vent, range hood, plumbing or wiring entering the house, and install door sweeps to restrict access under doors. Most vermin are attracted to PB, including pack rats and chipmunks. Messy, and eventually clogs up the workings of many mouse traps - also breeds black mold. Extremely attractive to mice - in fact, they can't resist - also familiar to them as they can find fruit in their native habitat. Sometimes they can dislodge the bait and carry it off without setting off the trap - foil them by tying it on with thread. Readily available, easy to use right out of the fridge. 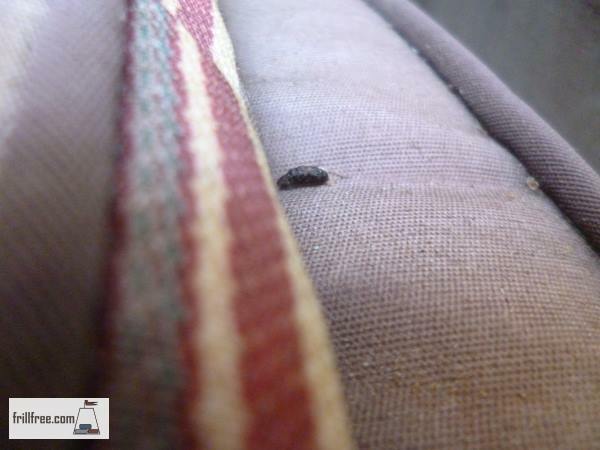 Not attractive to mice, breeds green mold or just dries out. Once you've had success (check your trapline every day, just in case you've caught one by the tail or one leg) and deal with it right away. Don't leave a carcass moldering in the trap if you want to use it again. On occasion I've had a mouse caught by the tail and it dragged the trap away, usually to a place where it's hidden. 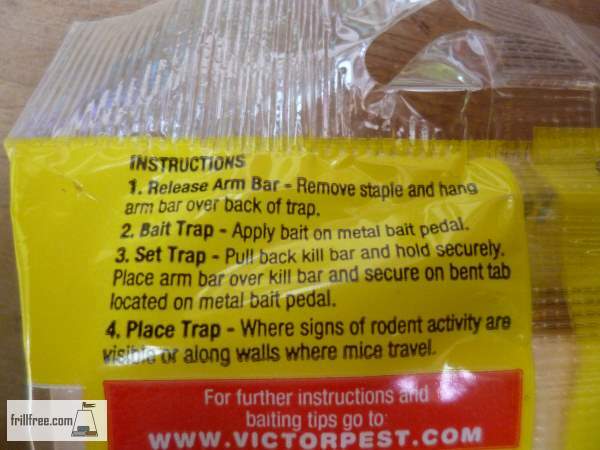 If your trap disappears, try to locate it because mice, when they die, smell terrible (plus, it's an unpleasant way to die). 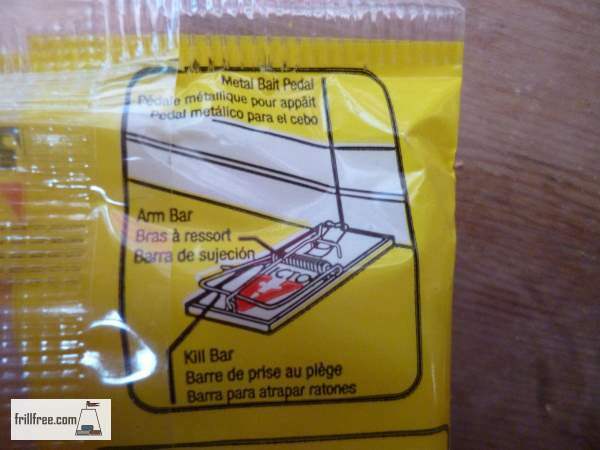 For the squeamish, just toss the whole thing (mouse and trap) into the garbage, or burn it on your outside fire. In case of one that's still alive, get a bucket of water and put the whole thing, trap and all in it. This is hard to watch, but you don't want to release an injured animal to its fate. Better a quick drowning than a drawn out death from shock. To reuse it, carefully pull the bail up, and jiggle the cadaver out. In the woods, leave it for the scavengers to deal with (corpse beetles have to eat too) or in more domesticated environments, in the garbage it goes.